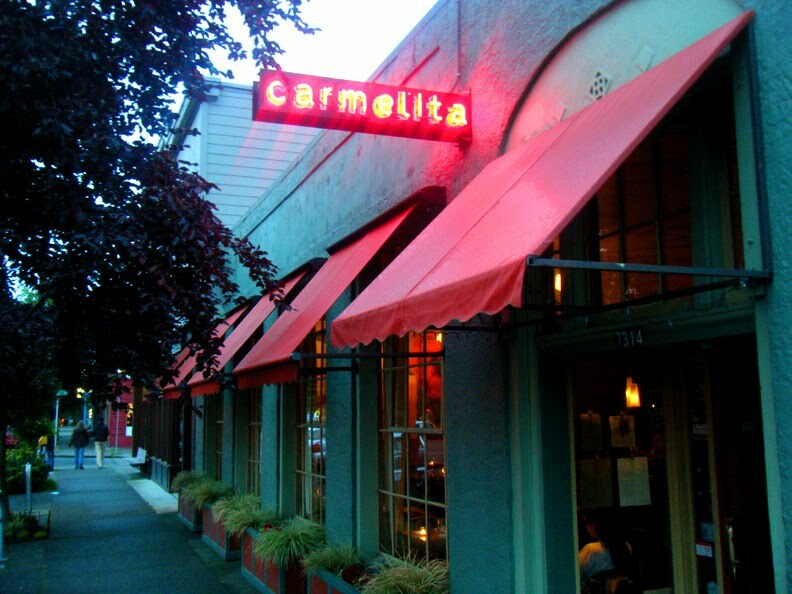 Update: Carmelita has announced they will close after Sep 29, 2013. If I made every decision based on the morality of the situation, of course I would not waste money on selfish indulgences like cocktails and this list would not exist. Fortunately for the project, I'm not that moral, and for similar reasons, I am not a vegetarian. I can't dispute the ethical superiority of being one, I'm just a little too selfish to give up the great joy of burned animal flesh. 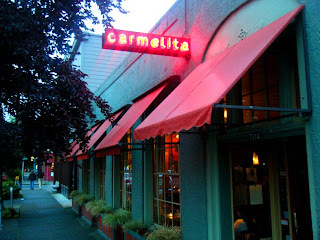 This is why I'd never been to Carmelita, the very popular vegetarian restaurant in my neighborhood. I thought about it many times, but it would just never win out when right across the street at the 74th St. Ale House I could get a juicy salmon sandwich or one of the best soups of the day in the city, often containing little treats like Cascioppo Brothers chorizo or strips sliced from the thigh of some chicken who probably never did anybody any harm. And while I knew Carmelita served some of their own invented cocktails, I didn't even know if they had a bar, so until this day I never even bothered to stop in for a drink. That, from a purely selfish point of view, was a big mistake. Carmelita serves some really good cocktails. They're neck and neck with Oliver's Twist and Stumbling Goat for the best in the neighborhood. The Seattle Times called them one of the best happy hour in the north end and The Stranger called them "Seattle's highest-minded vegetarian restaurant," and those both appear to be on the money. The cocktail menu includes seasonal ingredients in several tasty options, but I went for the "Mr. Carmelita" (Rye, Punt e Mes, Amaro Nonino, Angostura bitters – served up), and it was excellent (it appears to be the bartender's favorite as well, though not as popular with the customers as some of the other options). 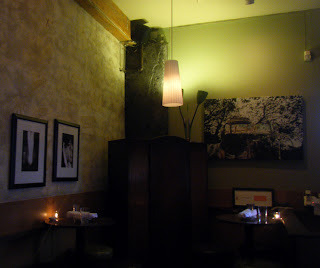 So as long as I remain immoral enough to spend a portion of my money on luxuries like cocktails while other people in the world are suffering, I'm planning on going to Carmelita with much more regularity. I hear they have a great happy hour too. We've been meaning to hit it. In your contemplation of the morality of your supposedly selfish actions you overlooked the fact that there are people like me who enjoy reading about restaurants and bars but who don't really get that big a kick outta actually going to them. So you're doing good. Angels smile every time you have a cocktail which you plan to write about. If your choices aren't moral it means all these business you frequent depend on people making immoral choices just like yours. If you want to question the morality of actions you should ponder the morality of those who seek personal gain based on encouraging the immorality of others.